I'm a huge fan of innovation in game worlds. There's lots of fantasy RPGs, walking-undead board games, and sci-fi skirmish games out there. 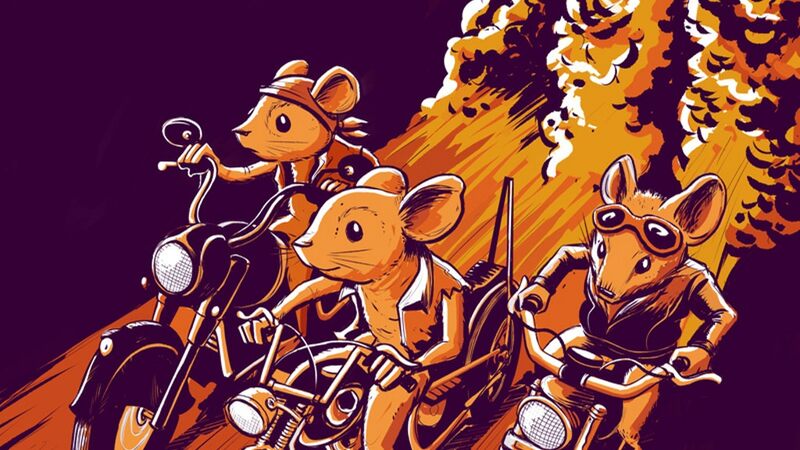 What you don't see a lot of are games where you and the other players are mice who form a club and build their own motorcycles. But that's what you'll be doing in Heavy Metal Thunder Mouse, a new RPG that's up on Kickstarter now. Seems like a pretty good meeting up together all in one. 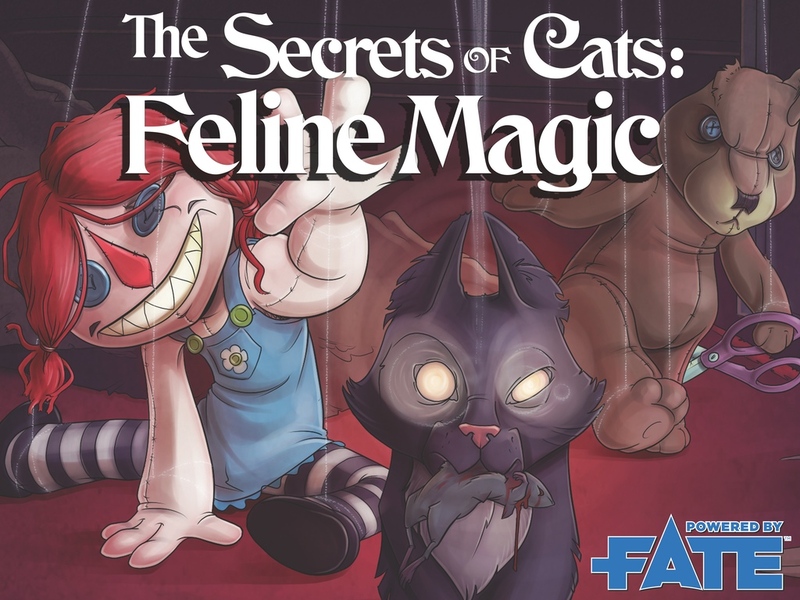 The Secrets of Cats: Feline Magic is the 2nd expansion book for the Secrets of Cats RPG world (which uses the Fate system). As you can tell, this supplement has to deal with all the magic things that cats can do (more than just "always land on their feet"). Have you ever felt that there must be something more to life? Like there was something more meant for you? That you were part god? Well, that's the world of Part-Time Gods. Do you still flip burgers or sweep floors when you've got a bit of divine power inside of you? That's up to you. The game has been brought into the Fate system as well. 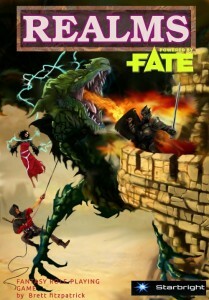 Plus, along with that, to help expand your adventure, they have a new sourcebook out called Fated Minions of the Source. If someone asks you if you're a god, you. Say. YES! And in some RPGs, you certainly can end up with a character that's partly divine to all the way divine. But unless you're all-powerful (and I don't think a lot of GMs are going to be like, "oh yeah, you can just do whatever, no consequences, no roll needed. Just go right on ahead. "), you're going to need implements to help you out in your god-duties. That's where Divine Instruments of Fate, from Third Eye Games, comes in. After Thanksgiving, I move some DVDs on my shelf out of the way (the shelf's deep enough to have two layers of DVD boxes on it) and grab all my Christmas movies for watching during the month. There's all the regular classics like How the Grinch Stole Christmas, Muppets Christmas Carol, and A Christmas Story. But there's also a dvd of Mystery Science Theater 3000. That one's Santa Claus Conquers the Martians. I actually just watched it yesterday. Well, Grim Games has made an RPG supplement that's loosely based on the movie (robot pals not included) and they have put it up on Kickstarter. Just as porting your game to as many languages as you can is pretty important, porting your RPG setting to as many systems as possible is also pretty important to help make your game grow. Some gamers love their certain game systems and aren't really wanting to learn a new one. It's fine. But as a game maker, that means sometimes making multiple versions of your game. 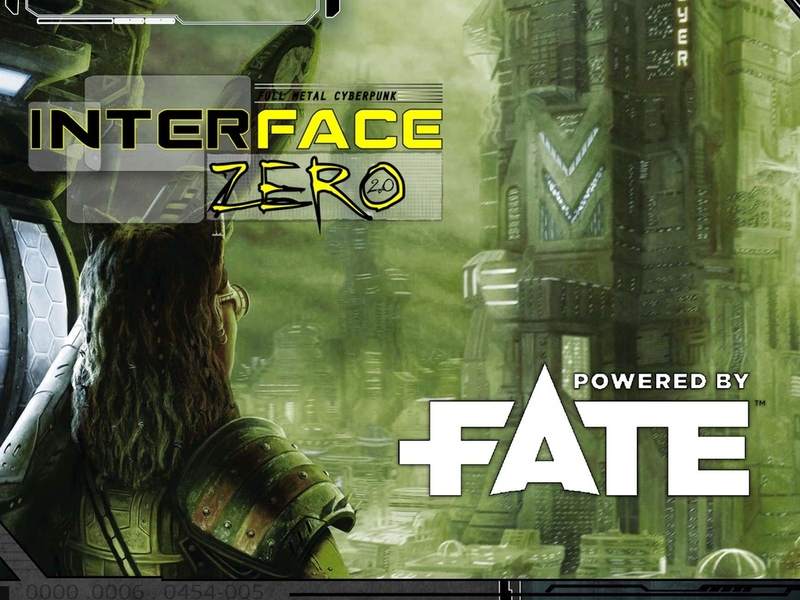 Gun Metal Games is doing that with Interface Zero, their cyberpunk RPG game. It's up on Kickstarter now, looking to be ported to the Fate system. 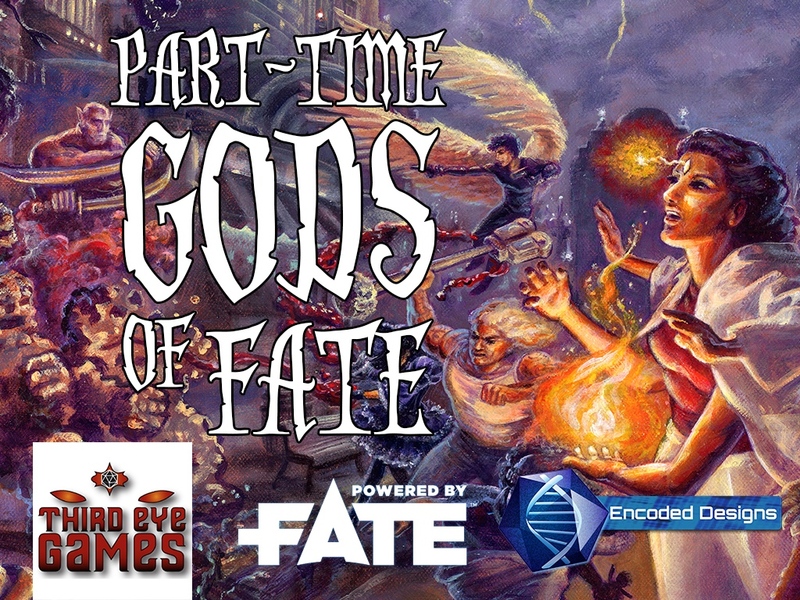 Part-Time Gods, the RPG by Third Eye Games, is taking fate in its hands and coming to the Fate gaming system. There's a Kickstarter campaign up and running now in order to make this possible. And barring any sudden drops in the funding that's already been pledged, it looks like it's going to make it, already 50% over their funding goal. In the game, players must choose between how much of their divine nature they want to tap into, as it will mean losing their bonds with humanity. White Rose Games doesn't think that going home with the bronze is such a bad thing. In fact, Bronze is one of the most important metals throughout history. It certainly ushered in a new set of refinements in tool-making. 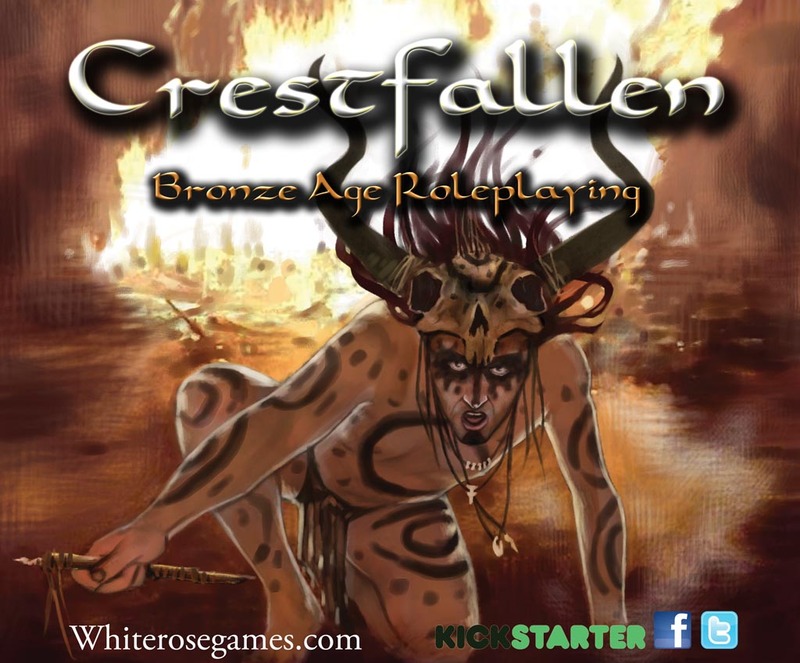 They've created Crestfallen, a new fantasy RPG set in a world where technology is much the same as our world during the Bronze Age. There's also magic and mystical creatures. 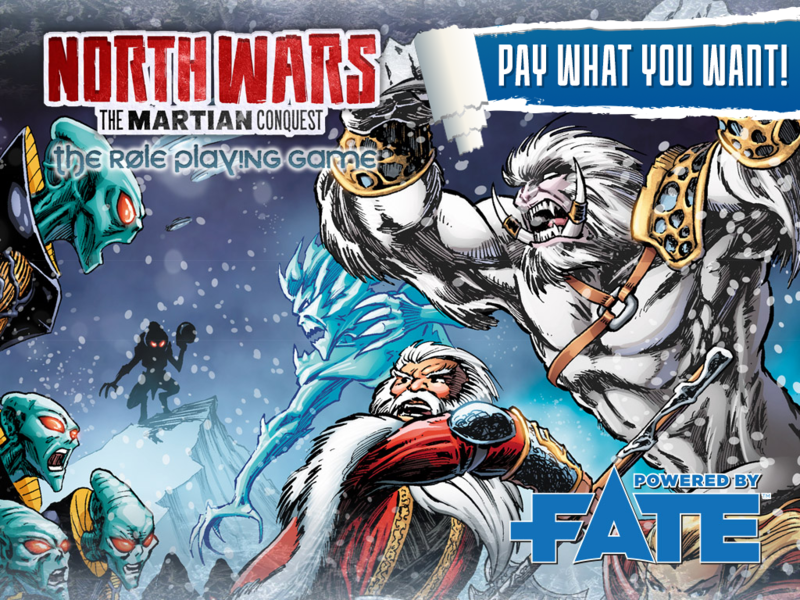 They have a Kickstarter up and running to try and get the system, powered by Fate, into your hands. 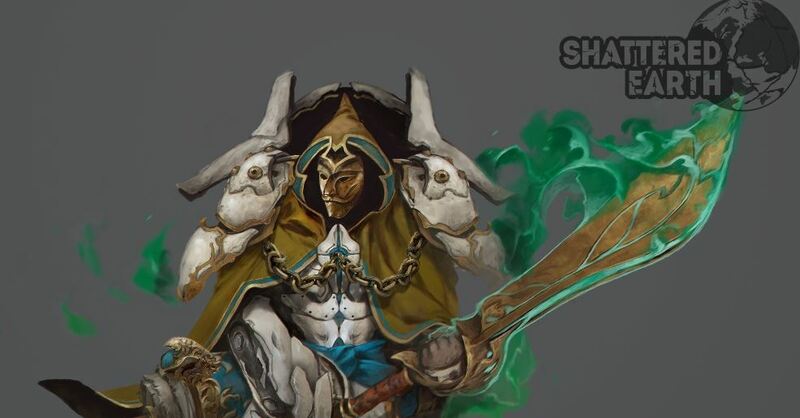 Shadowcraft is a new fantasy/spy RPG that's up on Kickstarter. The game uses the Fate system, but modified for a high-magic world. It's Spy vs. Spy, but with Gandalf as the spy masters. The campaign is about 3/5 of the way to their goal with still 11 days to go on the clock. 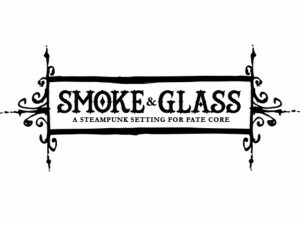 Phoenix Outlaw Productions launched a Kickstarter campaign for Smoke & Glass, their new steampunk RPG system for Fate Core. They're over their goal, so check out the upcoming stretch goals and extras. The game features a new class system, custom stunts, and unique magic rules created to enhance and expand on the already powerful Fate Core system. 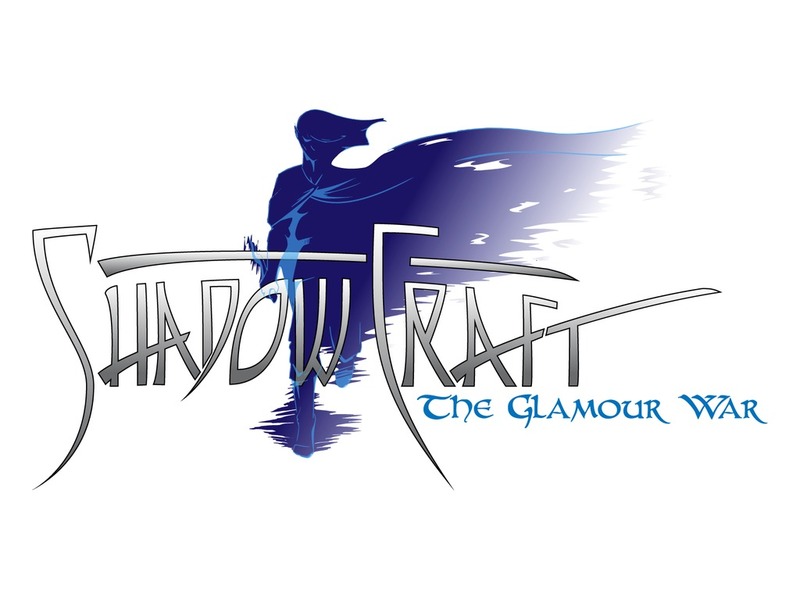 Smoke and Glass is Phoenix Outlaw's debut release to the game world that welcomes players to discover a new world brimming with mythology, power and social intrigue. 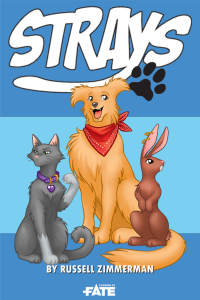 Strays is a new, Fate-accelerated, RPG game up on Kickstarter. Family-friendly, you can play this game with your kids. 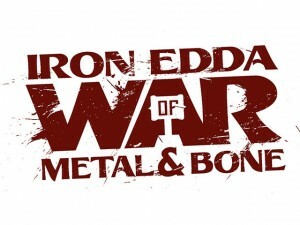 Sand and Steam has a Kickstarter campaign underway for Iron Edda: War of Metal and Bone, an RPG setting for the Fate Core RPG system. 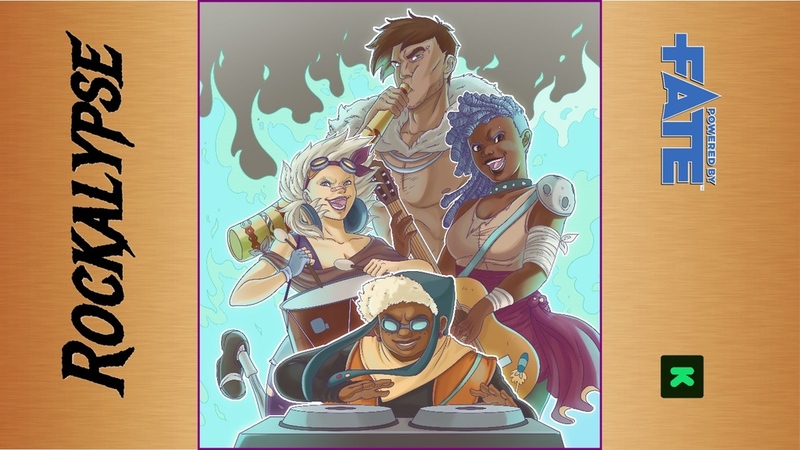 Starbright has a new book using the Fate RPG system. 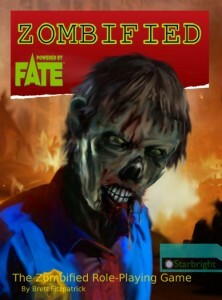 This one's all about the zombies. So grab a rifle and a tactical hatchet, and let's kill some zombies! 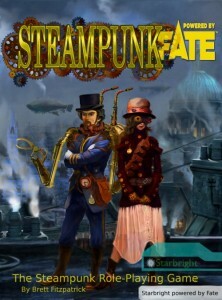 Starbright has released a new Steampunk-themed RPG book for the Fate system. Work has just been completed on the latest addition to the Starbright stable of Role-Playing Game titles, and this time the spotlight has fallen on steampunk. The game is even called Steampunk powered by FATE, just so there’s no confusion. 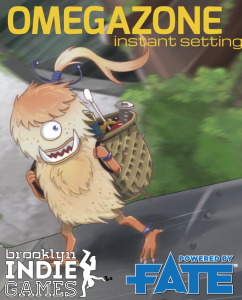 Brooklyn Indie Games is over on Kickstarter and looking to fund their OmegaZone setting book for the Fate RPG system. OMEGAZONE is an Instant Setting for the Fate Accelerated roleplaying game. The 54 card deck contains all the ingredients you need for adventure. It's just waiting for you to fill in the details. Pirate World is a new setting for the Fate and Dungeon World systems that's up on Kickstarter. They're more than funded, so it's stretch goals for the next 29 days. 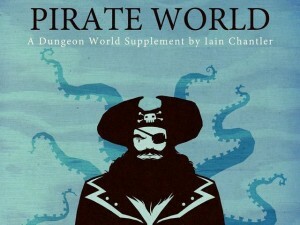 Pirate World is a huge supplement for Dungeon World and Fate Core. It's bursting at the seams with crazy classes, mad inventions and monsters that'll eat you whole. Back it now and you get 4 full and 3 preview Dungeon World playbooks instantly! 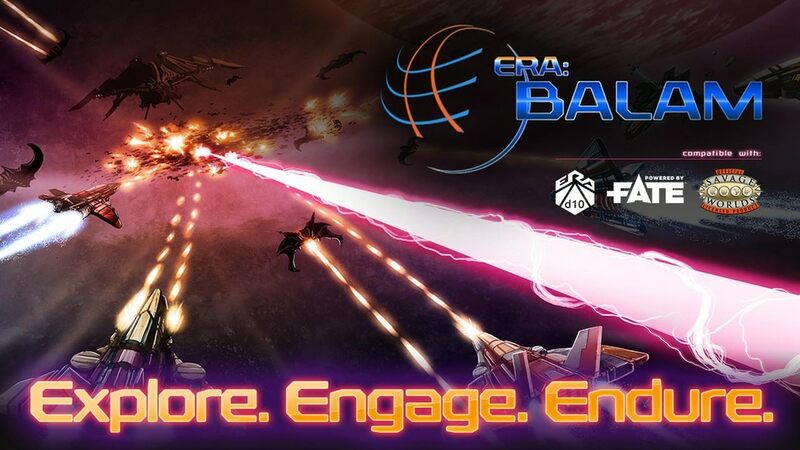 They're ready; check out the first backer update to get them now. The three preview classes will be updated to full classes on Monday!The Fate Core classes are en-route, estimated late November. As backers, you'll be invited to the exclusive club that tests and improves Pirate World, and your ideas will help make it better. The physical book will be awesome. 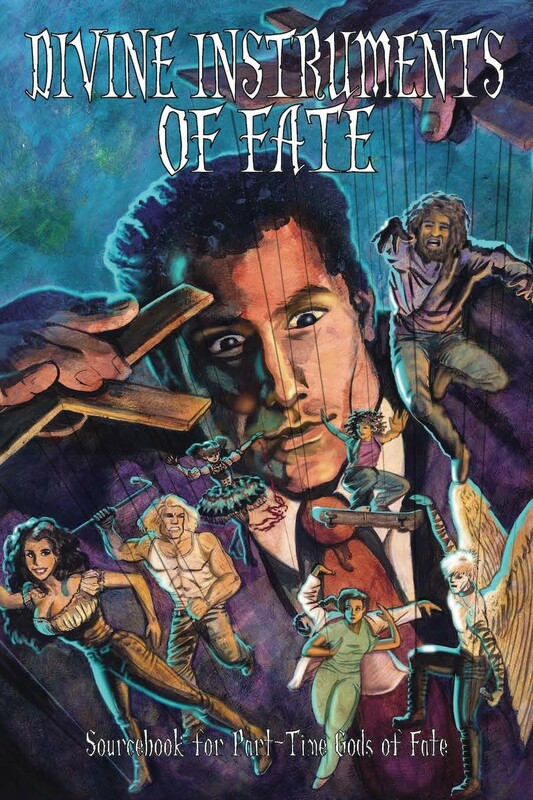 A full colour, hardcover book printed and shipped to you. We can't wait! Pledge for £9 (about $15) to get the digital copy when it's released, or pledge for £25 (about $40/ €35.50 with postage) and get the physical copy mailed to you. Starbright gives you another option for your fantasy RPGs with the release of Realms for the Fate gaming system. 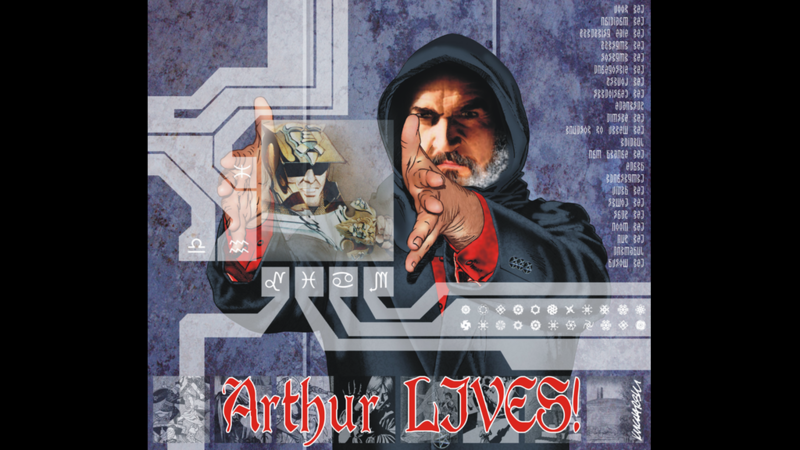 Starbright released their new Extreme Future RPG book that uses the Fate Core rules set. The new version of Fate has changed their open license to make it friendlier to game designers who want to base their game on Fate. This change has made it possible to create a Fate version of the rules for Extreme Future. 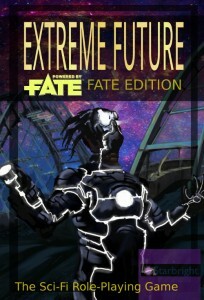 Extreme Future (Fate Edition) takes the popular Fate rules and pairs them with the Extreme Future setting to create a Sci-Fi role-playing game with award winning rules. Everything needed to play is contained in the pdf. It is available on RPGDriveThru.